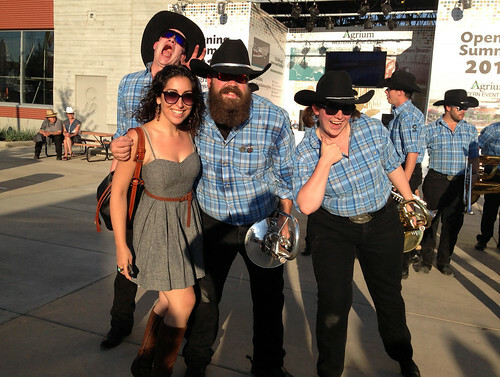 No trip to Calgary in the summer is complete without a trip two trips to Stampede. 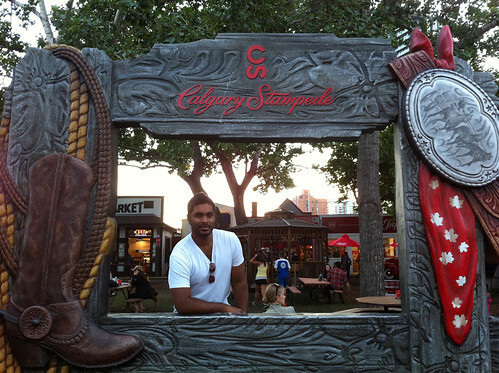 I needed more cowboys, livestock, and poutine in my agenda, so Nishan and I headed downtown on our fourth day in Calgary for another day at Stampede. 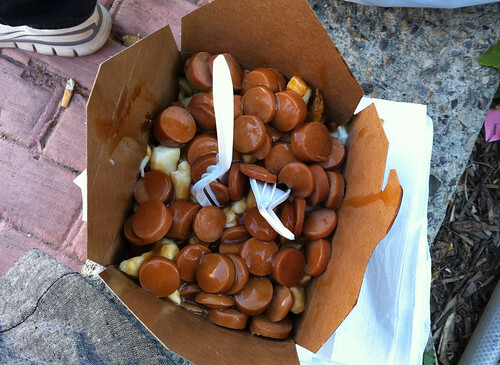 After a snack of hot dog poutine (yes, it’s just as delicious and just as unhealthy as it looks), we strolled over for a live performance by A Band of Outriders, aka the greatest forty-piece cowboy and cowgirl showband I’ve ever seen this side of the Mississippi. Seriously. These guys are awesome. 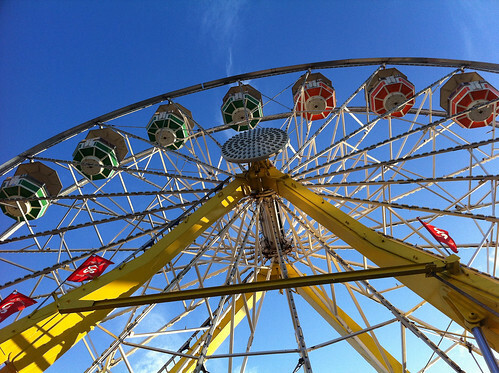 We strolled around the Stampede grounds for the rest of the day, riding the Ferris wheel for a view of the Calgary skyline and catching an epic fireworks show at the end of the day. On our next (and last) day in Calgary, we had some pasta. And by some, I mean a ton. I don’t know what to tell you, Internet. I woke up and decided this was a fine day for making several batches of pasta and eating it all. 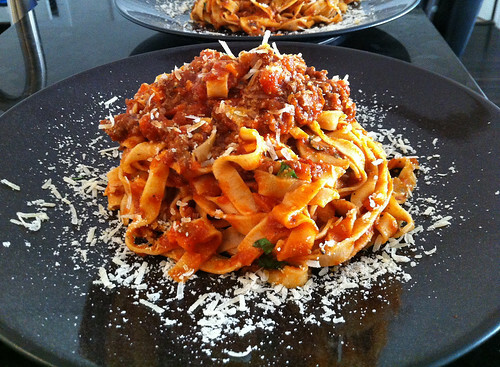 Naturally, Nishan made some handmade pasta while I cooked the bolognese sauce. But oh no, that wasn’t enough. 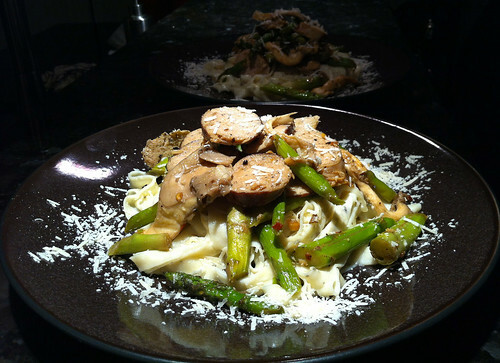 Next, Nishan cut some tagliatelle while I made a sauce of sausage and wild mushrooms. In between the Great Pasta Panic of 2013 we spent a few hours in downtown Calgary but really, this was a day about pasta. Yo dawg, I heard you like pasta so I put some pasta on your pasta so you can pasta while you pasta. And on that gluten-y note, our trip to Calgary was over and it was back to life in the Bay Area. A life full of pasta, of course. 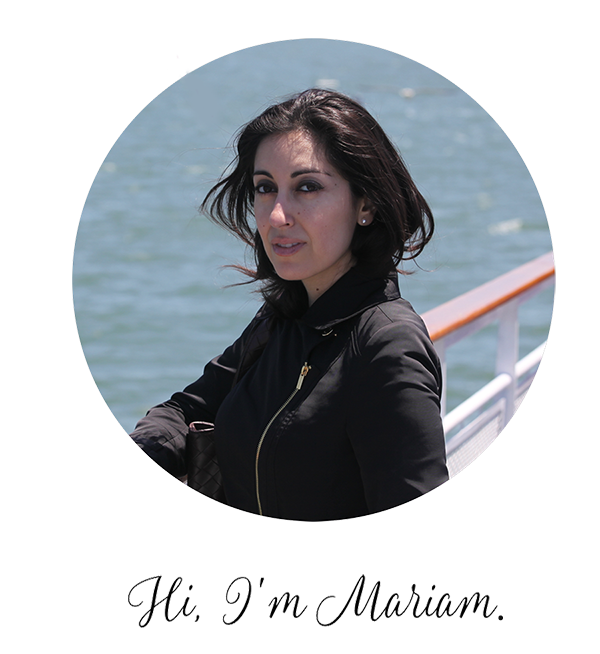 Nishan grew up in Saskatchewan (among other places) so naturally, I’ve heard about Saskatoon berries more than a few times. And that’s how we found ourselves in the car on our second day in Calgary heading to the town of Okotoks, just outside of Calgary. 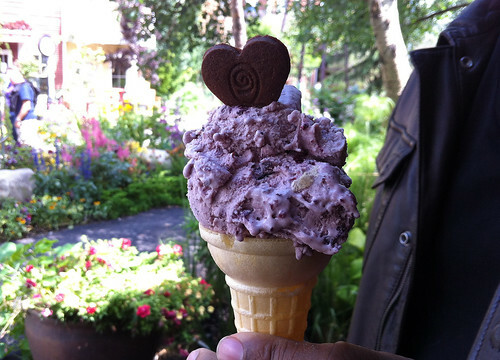 We had breakfast at their on-site restaurant, but the real highlight was sampling the Saskatoon berry ice cream. Okay, I get it. This stuff is good. Creamy, sweet, and super fruity. Why don’t they carry this in the states? 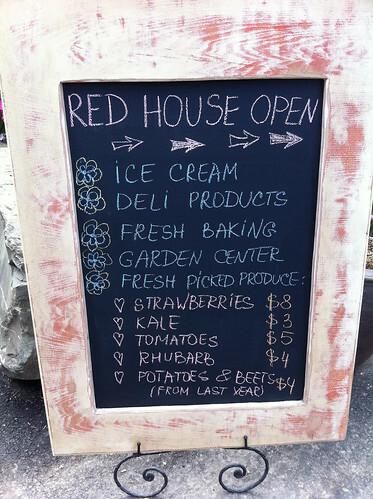 The farm carries other produce and baked goods, as well as tons of plants, so if you like to get your Canadian gardening on, this is the place. From Okatoks we got back in the car and headed back towards Calgary, where we spent the rest of the day at the Calgary Turkish Festival, sampling kabobs and coffee. 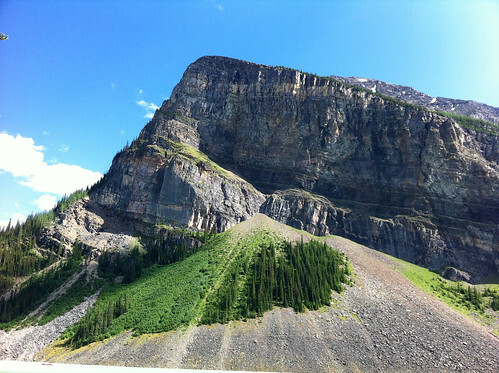 We got up early the next day to drive to Lake Louise in Banff National Park. Tim Hortons in tow, of course. 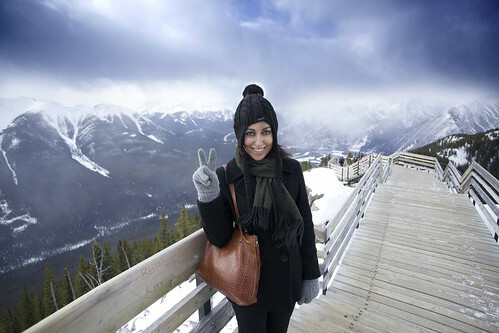 The last time I was at Banff, everything was covered in snow and I was convinced I was going to freeze and pass out from the cold. 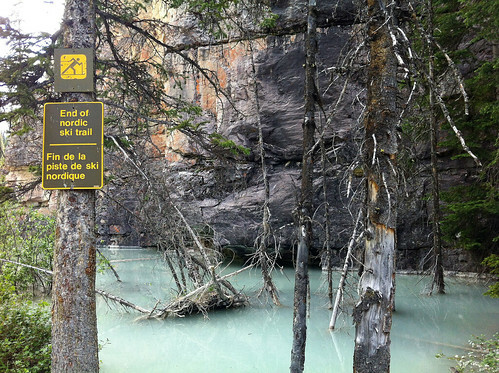 This time, we approached Lake Louise in tank tops and t-shirts. The sun was shining and the lake was gorgeous. 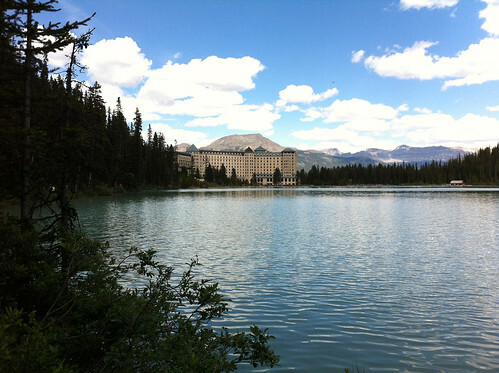 After lunch at the adjacent Fairmont Lake Louise, Nishan and I began the easy hike around the lake. 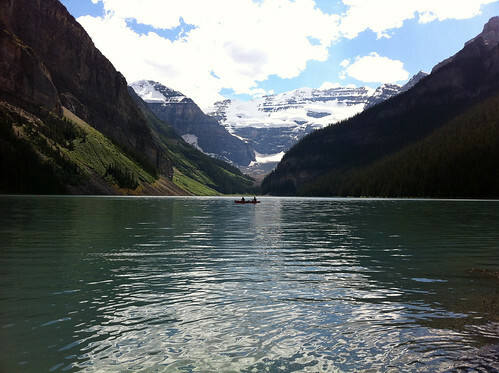 Lake Louise is pristine, and the ice blue to emerald color of the water comes from rock flour carried into the lake by melt-water from the glaciers that overlook the lake long ago. We were famished by the time we got back to Calgary, so we stopped at the market and picked up a few ingredients for dinner. 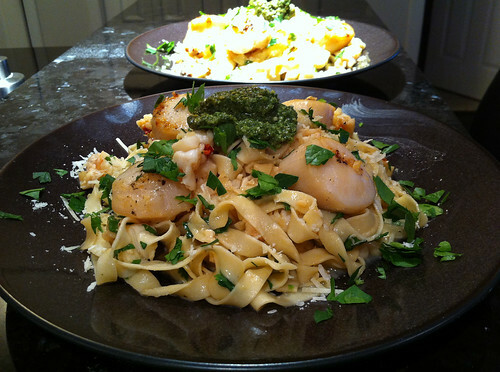 Nishan cranked out homemade saffron tagliatelle while I made the lobster and scallops to top the pasta. I first visited Calgary last winter, and like a true Californian, I wasn’t prepared. 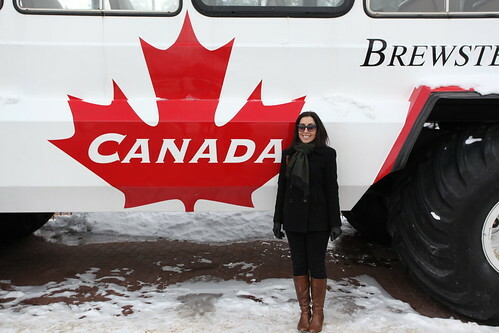 But despite the freezing cold, the city won me over, and I went back in Calgary in July to visit Nishan and visit the Calgary Stampede — one of the world’s largest rodeo festivals. Yes, you read that right. I went to a rodeo. And it was awesome. But first things first. 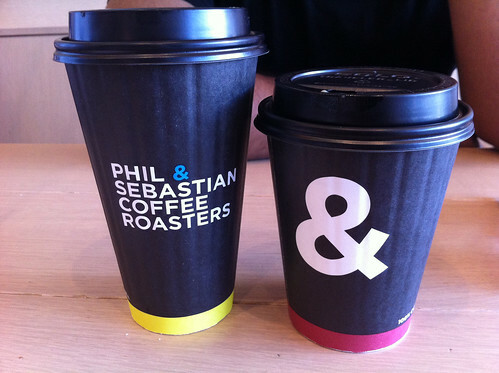 Phil & Sebastian is my favorite coffee shop in Calgary, and we stopped there first to fuel up before heading downtown. 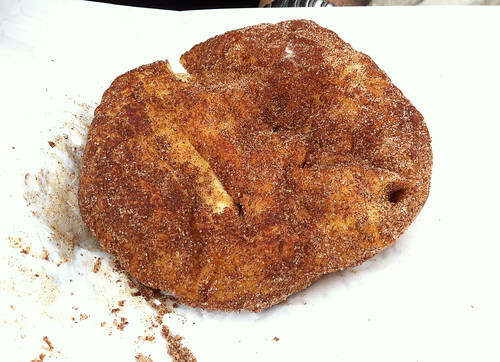 A piece of freshly-baked bannock bread kept us sated as we began to roam the Stampede grounds. Bannock is an unleavened flatbread fried in oil and native to Canada’s First Nations, and in this rendition, the bread was sprinkled with sugar and cinnamon for a sweet, warm treat. We roamed the Indian Village on the bank of the Elbow River, peering into tipis that re-enacted elements of their traditional lifestyle. 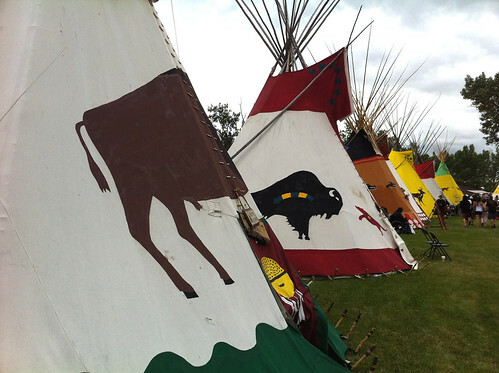 five nations of the Treaty 7 – the Tsuu T’ina, Piikani, Stoney, Kainai and Siksika – are represented at Indian Village. Made in 1877, the Treaty 7 was an agreement between Queen Victoria and several mainly Blackfoot First Nations tribes in what is today the southern portion of Alberta. Next we headed into the exhibition area to view (and pet!) the livestock. Horses! 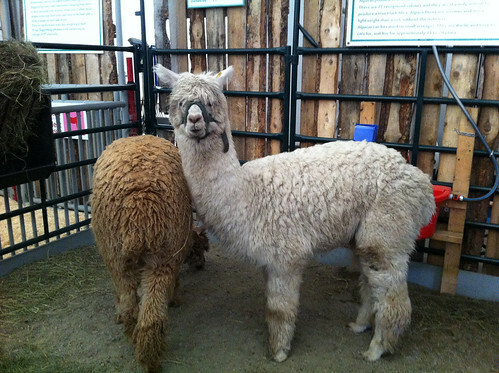 Llamas! Sheep-shearing contest! The little kid in me was delighted. 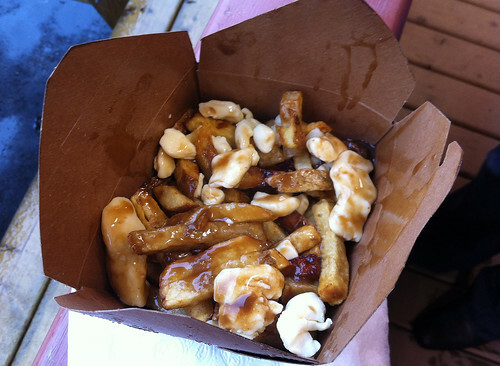 No visit to Stampede (or, uh, Canada) is complete without poutine, so we grabbed a container from La Poutinerie before the rain began. Southern Alberta was still recovering from some of the worst flooding the province had seen in a century, and the rains were still tapering off. We found shelter in a corner and dug into this delicious, comforting snack. Dinner was even heartier at Charcut, a trendy and upscale downtown steakhouse. 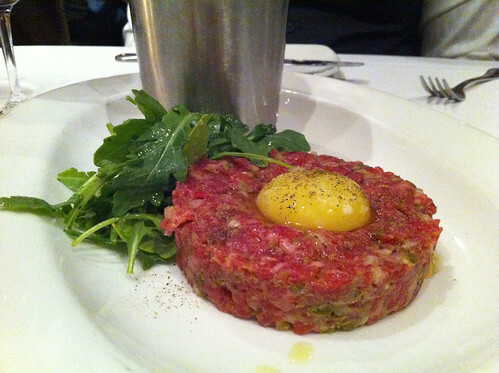 We shared a plate of the steak tartare as an appetizer followed by, well, more steak as our entrees. Hey, it’s Alberta. These guys do steak right. Oh, Calgary. It was good to be back. After two straight days of dog sledding and mountaineering, we were due for a lazy day. Nishan and I began our fourth day in Calgary at Phil & Sebastian, a minimalist-meets-hipster-in-a-good-way coffee shop in the Marda Loop neighborhood. Protip: get their pain au chocolat; it’s the best I’ve ever had. Their coffee is pretty solid, too. Afterwards, we headed to the Calgary Farmers Market, which was a bit bare bones in the produce department (it was February, after all) but more than made up for it with meats and cheeses. Want bison? Check. Meat pies? Check. Venison? Check. Kale? Not so much. I picked up some maple black tea at TotaliTea, then grabbed a few bison sausages at Olson’s High Country. 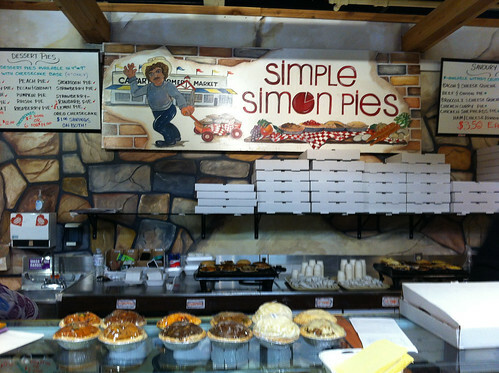 The real treat was picking up a dozen meat pies at Simple Simon Pies. We ate a couple of their Jamaican beef curry pies for lunch at the farmers market and took the rest home to enjoy later. We spent the rest of the day in downtown Calgary, where I learned what the +15 is (a massive indoor pedestrian skywalk system connecting downtown buildings because, well, it’s so cold in the winter) and also learned that butter chicken poutine exists. Sadly, it’s not as delicious as you might think. 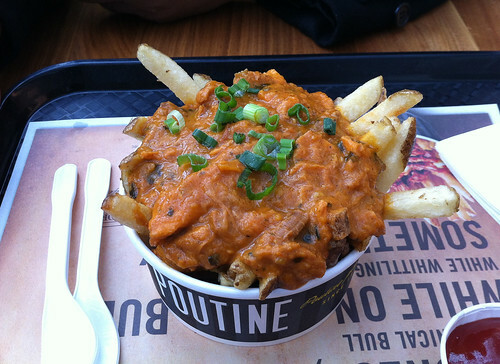 What good is butter chicken poutine if the butter chicken isn’t freshly cooked? For dinner, we put the bison sausage to good use: I cooked up a sauce while Nishan cranked out some freshly-made egg pasta. The result? 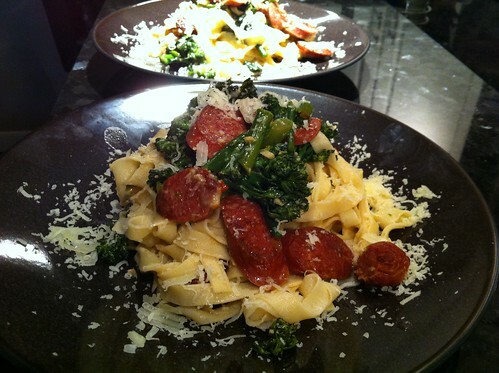 Tagliatelle with bison sausage and broccoli rabe. My fifth and last day in Calgary was another happily lazy excursion to Phil and Sebastian, followed by sampling an infamous Montreal smoked meat sandwich. I probably should have tried one of these while I was in Montreal last year, but hey, better late than never. 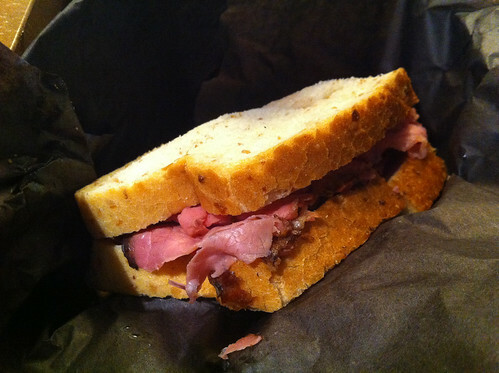 Avenue Deli serves up Montreal-style smoked meat sandwiches and they’re not exactly light eating. These come with a side of chips, and speaking of chips, did you know that ketchup chips are a thing in Canada? They’re every bit as delicious as you imagine they are. For dinner, we had one last pasta-esque hurrah. 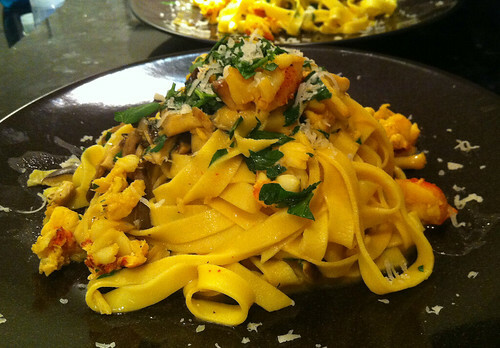 Nishan handmade some saffron pasta while I cooked up a sauce of wild mushrooms and lobster. You can’t really go wrong with any of these ingredients. I woke up the next morning to a city freshly blanketed in a layer of snow. 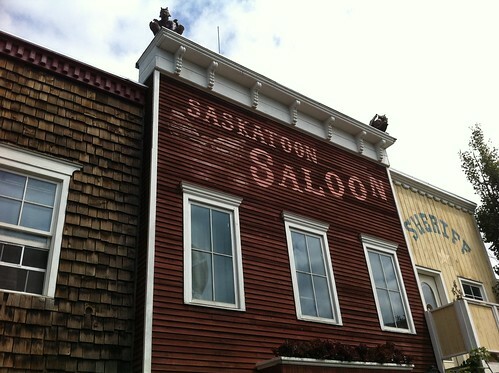 I had an early flight to catch back to SFO, and left feeling like I’d only scratched the surface of Alberta. Oh, Calgary. Who knew? 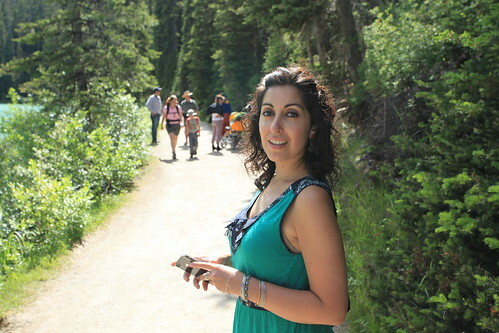 By my third day in Calgary, I still hadn’t acclimated to the cold and settled on wearing nearly all my layers of clothing before heading out with Nishan for a day at Banff National Park in the Rocky Mountains. But first we stopped at Tim Hortons for a coffee, because Canada. The highway to Banff is fraught with elk crossing signs, a novelty for this California girl. It was beautiful here and well, California “mountains” basically look like hills to me now. 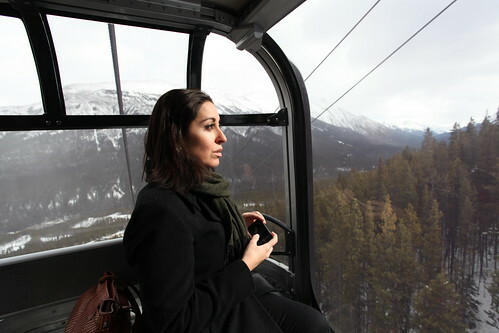 We headed to Sulphur Mountain, where a gondola took us to the Summit Upper Terminal at over 7,000 feet. I’d never seen so much snow…or mysterious animal paw prints at that. 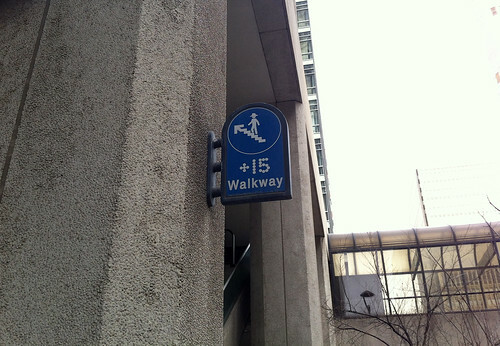 I’m not sure these were exactly Fido’s steps, if you know what I mean. Once at the top, Nishan and I set to hiking the impeccably well-kept pathways to the historic Sanson’s Peak Meteorological Station, named after Norman Bethune Sanson. 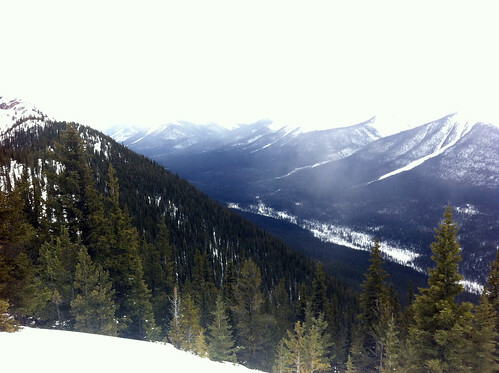 Sanson first climbed the mountain on snowshoes in 1896 in order to record weather observations for the Banff area. Kind of like broadcast television meteorologists, amirite?